Your boiler is one of the most important appliances in your home, keeping you and your family warm and comfortable no matter what the weather is doing outside. 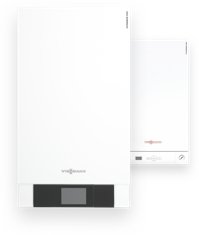 Although high quality, modern boilers are now incredibly reliable, how well they serve you ultimately depends on how well they are looked after. Boiler maintenance is important for several reasons. First and foremost, it helps to ensure that your boiler remains safe, protecting you, your home and your family. In the UK, it is best practice for gas boilers and other gas appliances to have an annual safety check by a Gas Safe registered engineer. Whilst the safety check will ensure that the boiler is safe to use and working properly, it does not cover any parts that may need routine attention such as seals, gaskets and heat exchangers. The difference between a gas safety inspection and a gas boiler service is comparable to the difference between an MOT and a service on your car. To ensure the optimum performance of your boiler year round, doing the two together is by far the best approach. It is also generally more economical for you to do this, as a boiler service will typically include all of the basic safety checks as standard. Your annual gas safety check will allow an engineer to establish whether your boiler, flues, air supplies and safety devices are functioning properly at the time of inspection. The most important reason for this is to make sure that there is no risk of carbon monoxide poisoning in your home. Carbon monoxide is a highly dangerous and potentially deadly gas that you cannot see, smell or taste. However, like an MOT on your car, the annual safety check is not the same as a service. For a boiler, this is often simply a visual inspection and a combustion check. The case will not usually be removed so key internal parts such as the heat exchangers, burners and the combustion chamber itself will not be inspected or cleaned. A gas boiler service, in contrast, is a proactive procedure that is intended to ensure that your boiler remains safe, efficient and reliable for the foreseeable future. It includes a full examination of all components. A new, quality boiler will typically have a guarantee of five or more years as standard. For added peace of mind and to avoid costly surprises, many homeowners choose to purchase an extended warranty, giving them cover against boiler breakdown for as long as ten years. It is important to be aware that in order for your guarantee or extended warranty to remain valid, an annual service must be performed by an approved engineer. By law, only a Gas Safe registered engineer can inspect or service a gas boiler. Whoever you choose to use, be sure to verify that they are currently certified. All Gas Safe engineers carry an ID card confirming their status - we recommend you ask to see this and look for the logo when choosing a company to work with. When booking a boiler service, consider using an engineer who has been trained on your specific make of boiler, especially if it is a more modern device. This will help to ensure that the service is carried out to the highest possible standard by somebody who has been specially trained to work with your type of boiler, and will also ensure that genuine spare parts are fitted if required. Having the correct size of boiler installed in your home is the best way to keep your energy bills as low as possible. However, your boiler will not maintain its efficiency if you do not invest in boiler maintenance. Investing in boiler care will ensure that it continues to operate at maximum efficiency and does not waste energy by under-performing. This will help to make sure that you are not using any more gas than you need to, saving you money on your bills. Whilst the annual gas inspection only concerns the appliances themselves and their direct connection to the gas supply, a full boiler service can also include checking the entire system, including your pipework. Leaking, blocked or damaged pipes can have a significant effect on the overall performance of your heating and hot water system. Having them checked annually during your boiler service will help to avoid any problems developing with your heating and hot water, as well as helping to keep your fuel bills as low as possible. Investing in this kind of inspection once a year can offer big savings in the long run. Often called a gas installation check, this will include both a visual inspection of all accessible gas pipework as well as testing to ensure there are no leaks. As well as checking the physical aspects of your boiler, hot water and central heating system; many gas service companies will also be happy to advise you on how to save energy in your home as part of the annual service. This may range from adjusting the settings on your system for optimum efficiency and effectiveness, as well as practical changes you can make that may save energy and help to reduce your bills. A boiler health check is also often included, which can help you to know whether or not it is time to begin planning for a new boiler. Read our advice article about gas leaks to learn about what to do if you do suspect that you may have a gas leak or carbon monoxide leak in your home.